I had read all of the horror stories of the sunchoke, otherwise known as the Jerusalem artichoke. So I followed some advice and decided to start them in containers. I figured this would be handy as well considering how tall they get (well over 6 feet) and the fact that they take so long to mature, so I will need to move them around the yard to the available spaces. That’s when your compost doesn’t heat up enough to kill any random seeds that may have been put in there. I’m figuring that the majority of these are watermelon seeds since, well we went through a lot of watermelons last summer and they are about the right size, shape, and color. I’m always torn when it comes to volunteers. I mean, really, they volunteered. It just feels kind of mean to pull them out and throw them away. On the other hand, I like things to be where I plant them (probably some latent control issues there). 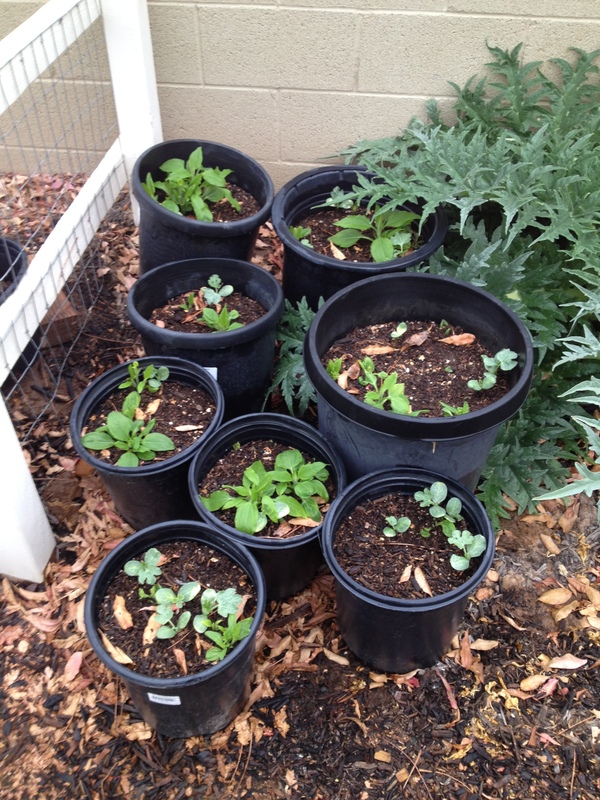 Hmmm… I certainly can’t grow watermelons AND sunchokes in these pots. At the very least they will need to be transplanted. Do you get volunteers? What do you do with them? This entry was posted in compost, Desert King Watermelon, Jerusalem artichokes, volunteers. Bookmark the permalink. Lol, what I do with volunteers depends on what they are. Potatoes, for example, are ruthlessly expunged but then we are in the middle of a huge potato growing area and I wouldn’t want to be responsible for potentially spreading some sort of disease, as unlikely as that may be. I can totally understand that approach. Jones, yeah, I get volunteered too. Last year I spread a bunch of yard waste on my garden from the previous fall. It produced a great crop of summer squash and zucchini. I just left them grow and creep into the sweet corn. It worked out real well. The two tomato plants were transplanted into a more suitable place. Volunteers are usually strong and robust plants and do well in the growing season. I’d say you are correct in that a watermelon and maybe a cucumber or two survived the composting. Have a great volunteer garden day. P.S. 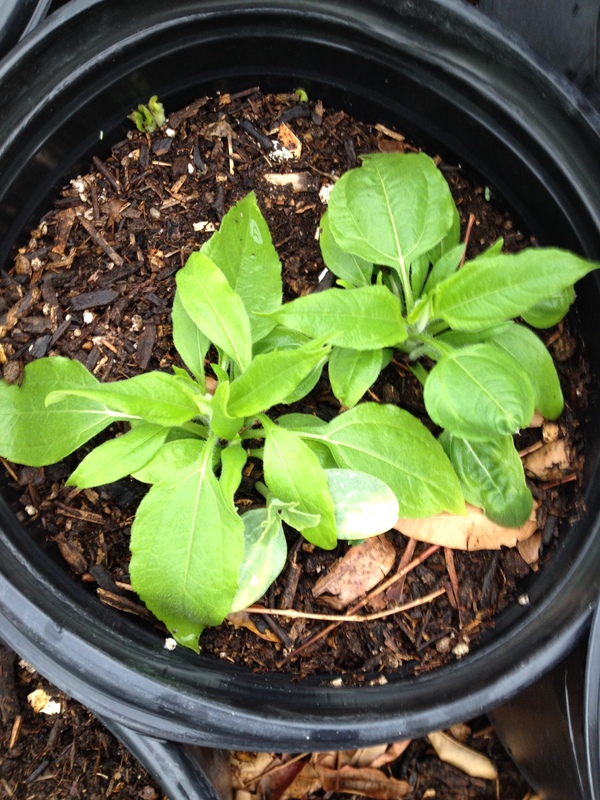 Very wise to put Jerusalem Artichokes in pots. They can get out of hand quickly. I wish I would have read your comments about hardiness 20 minutes ago. I just pulled all of them. From the remnants of the seeds they were definitely watermelon. I will think twice next time. Jones, sorry, it’s been a busy day. Usually I get to my favorite blogs sooner. For some daft reason, Jerusalem artichokes don’t have a particularly lovely reputation over here. Folks either love them or loathe them. I’m intrigued about your watermelon though. I’m hoping to try one in my poly tunnel this year. Volunteers, you mean weeds! I hope for the best on the watermelons. 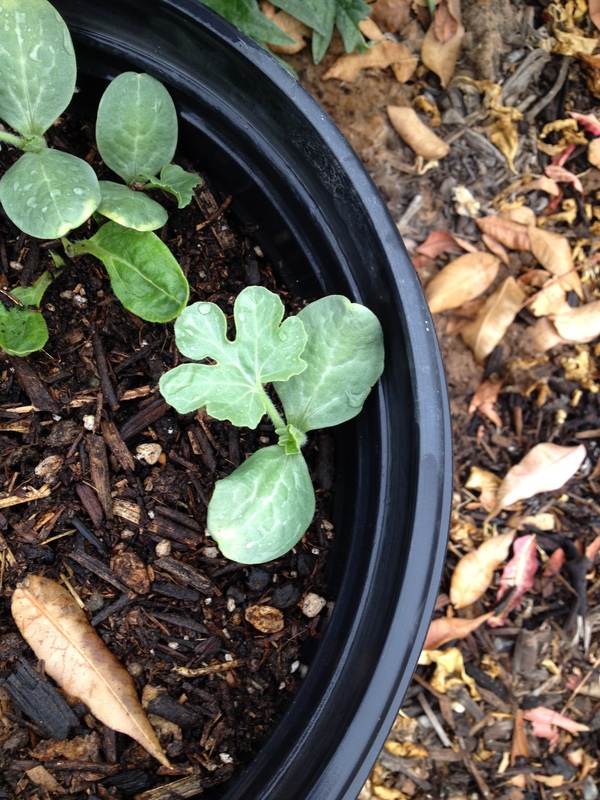 I’m actually expanding the melon growing to several different varieties, including three varieties of watermelon. We’ll see how it goes! I have the one variety, sweet crimson. I know that melons can be grown here in England, I’ve just never seen one locally. Wow! Really? I’m going to plant Charleston Gray, An orangeglo variety, and my normal Desert King. I really like growing them, they are just a lot of fun to observe and of course, eat! Yeah, I think sharks fin melon can be grown here. If I manage to grow one, will one heck of a jackpot! Haven’t sown the seeds yet, still a bit early. haha, i love the term volunteers. I probably leave them more often than not. I am softie sometimes. But watermelon is not going to grow properly in those pots are they? so in that case i would pull them or leave them until you can move them. I pulled them. I was really impressed at how deep the seeds were. It makes me think that maybe I should be planting my watermelon seeds a little deeper. These were a good four inches down. RIGHT! Actually I share your thoughts. That’s why I was torn. Like Dave said, they are pretty hardy little plants, that’s always impressive. With my limited space I need things to be in a certain place, so out they went. Hi Keith, How do you eat your artichokes – I have a whole lot about to be ready for harvest. I have discovered they are nice pickled. I grew a lot of watermelon plants this year, but didn’t get a single one! I don’t think it was a good enough season for them – a lot of grey days. There is always next season. I learnt early on to treat the volunteers as weeds as they just compromised the quality of their legal residents. But I do really hate pulling them out and snuffing out their potential… so some manage to twist my arms and get to stay! Oh yah! We’ve been eating the chokes! Hahaha! Nice, I’ve been yanking the volunteers because quite frankly the gardens are packed as is.